This is our reference NY-16600. 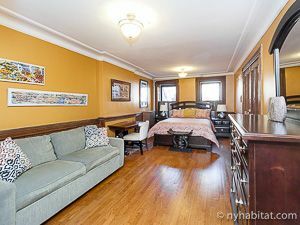 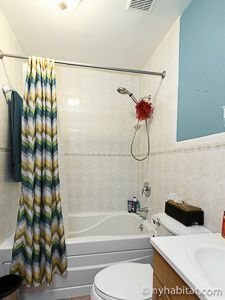 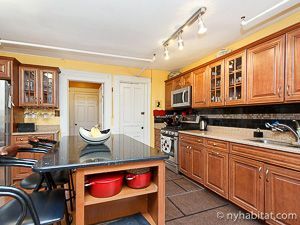 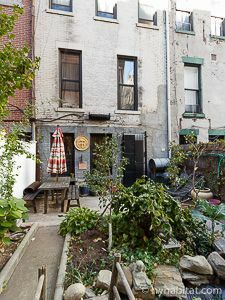 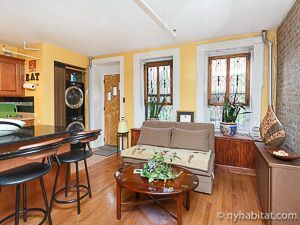 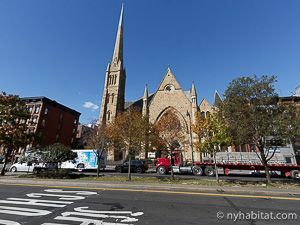 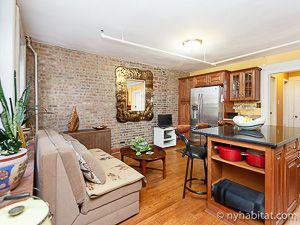 You can live like a local in Harlem with this unique one bedroom garden apartment at Lenox Avenue and West 124th Street. 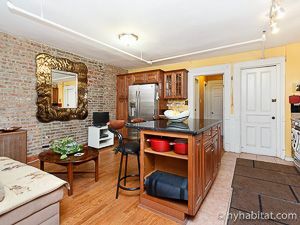 The fully furnished rental can be found on the ground floor of a townhouse from 1909 with both eastern (garden-facing) and western (street-facing) exposure. 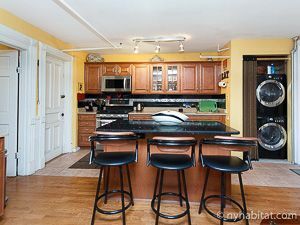 The living room is based around a large open kitchen with a breakfast bar and stools for enjoying homemade meals. 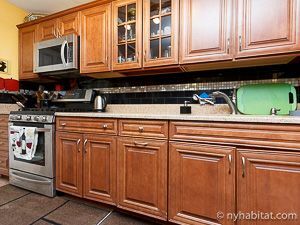 Amenities include an oven, full-size refrigerator and lots of cabinet space. 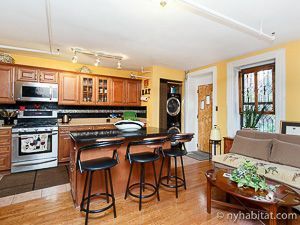 There are a washer and dryer for convenient in-unit laundry. 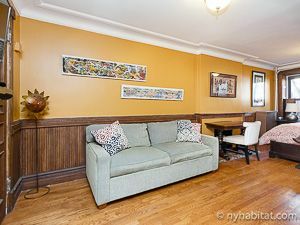 A sofa adjacent to the bar provides lounge space facing the flat screen television. The spacious 235 sqft / 21.8 sqm bedroom is furnished with a queen bed and a queen-size sofa bed for sleeping accommodations. 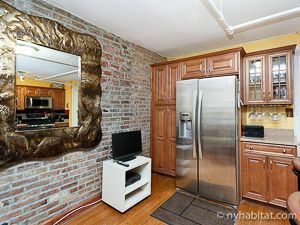 Other amenities include an armoire with a mirror, a writing desk, and a closet. 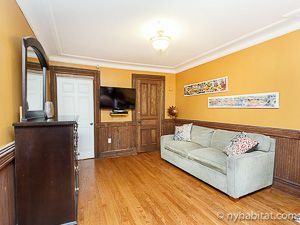 Another flat screen cable television is present for your entertainment. 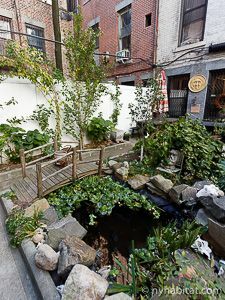 The outdoor garden and patio are a great respite from city life, featuring a picnic table for dining al fresco, benches for enjoying the nice weather, and a pond with a small bridge.